September 02, 2018 at 9:09 pm. ATLANTA — The Atlanta Braves didn’t have to face David Price during a May series in Boston and now they’ll miss the Red Sox left-hander again just when he has been pitching his best baseball of the season. 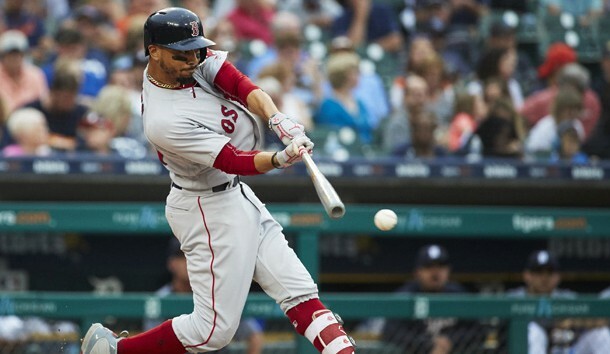 Price was on schedule to start the opener of the three-game interleague series between the Red Sox and the Braves on Monday, but he was hit on the left wrist by a line drive in the third inning against Miami last week. Although Price said afterward that he hoped he wouldn’t miss a start and didn’t want to, the Red Sox decided to be safe rather than sorry. Right-hander Nathan Eovaldi will start in Price’s place at SunTrust Park, with the Braves calling on right-hander Touki Toussaint for his second major league appearance. The Braves plan to go with a six-man rotation the final month of the regular season as they try to hold off Philadelphia in the National League East. Toussaint was promoted from Triple-A on Saturday when rosters could expand. Atlanta’s lead is back to four games after the Braves (76-60) took two of three from the Pittsburgh Pirates in a weekend series while the Phillies lost two of three to the Chicago Cubs. Eovaldi didn’t allow a run in 15 innings of his first two starts after being acquired from Tampa Bay, but he has struggled since. He is 2-3 with a 4.50 ERA in seven starts for the Red Sox The last one on Friday was limited to two innings because of rain. He has surrendered 13 runs in his past three games. Eovaldi is 2-3 with a 2.82 ERA in 13 career starts against Atlanta and is 2-1 with a 2.06 ERA in six interleague starts for the Rays and Red Sox this season. Price will throw off the mound while the Red Sox are in Atlanta and could start against Houston next weekend in Boston. Toussaint made an impressive debut on Aug. 13 in a spot start, limiting Miami to two hits and a run in six innings. He struck out four and walked two. The 22-year-old made eight starts for Triple-A Gwinnett after starting the season in Double-A and was 5-0 with a 1.43 ERA. He struck out 56 and walked 17 in 50 1/3 innings. Facing the Red Sox, who have the best record in the majors at 94-44 and a 7 1/2-game lead in the American League, will be a step up for Toussaint after facing the Marlins in his debut. The Red Sox took two of the three games against the Braves in Boston. The Red Sox are 11-3 in interleague games and the Braves are 8-9.